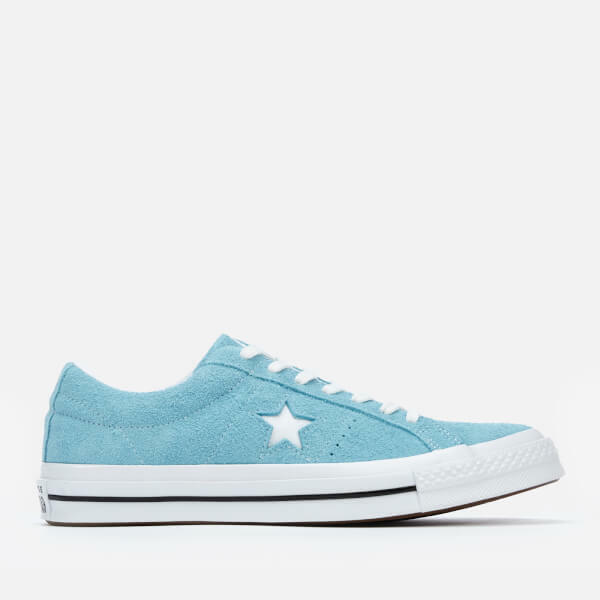 Converse first launched a low-cut suede version of the Chuck Taylor All Star in 1974 with a solitary star on the lateral side. 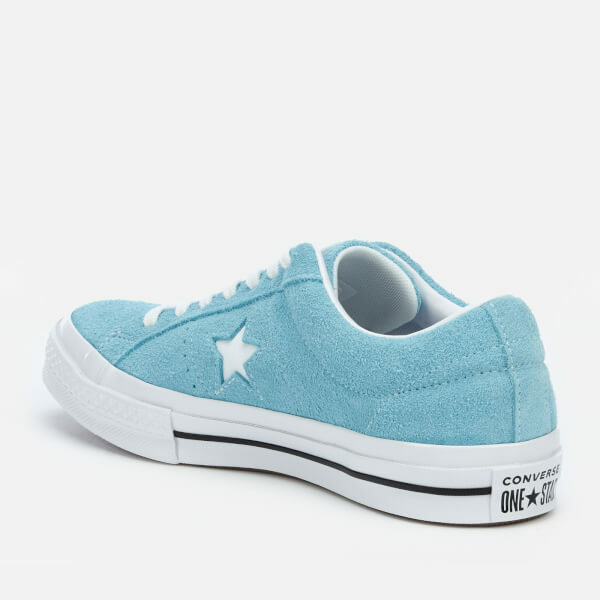 Reissued in the early 1990s, the ‘One Star’ sneakers were embraced by alternative culture which included street and skate innovators. 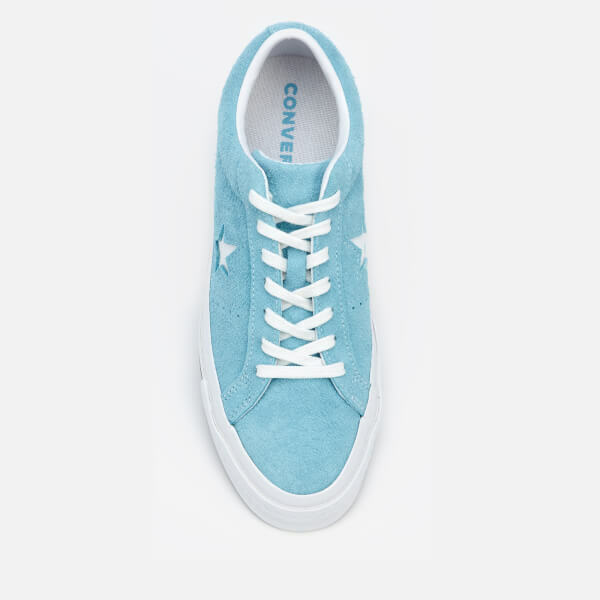 The vintage ‘One Star’ sneakers have throwback details including light blue uppers in premium hairy suede and a varnished midsole with black midsole stripe detail. Blending old school style with modern technology, the men’s trainers have an OrthoLite® insole for cushioned comfort and to keep your feet feeling fresh. The trainers are finished with a leather-lined collar for comfort, a signature textured outsole for grip and a logo licence plate on the heel.